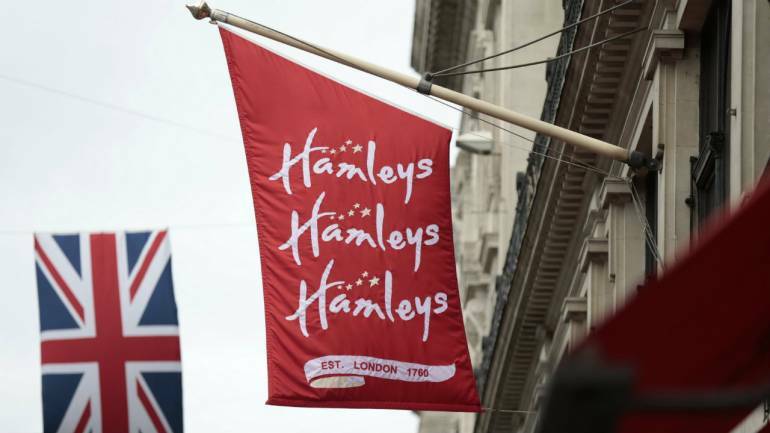 Iconic British toymaker Hamleys may soon have an Indian owner. Reliance Retail is looking to buy the 259-year-old Hamleys and due diligence for the deal with its owner C Banner International is in advanced talks, sources told Moneycontrol. Here's a lowdown of the toymaker which has been spreading smiles among kids since 1760s. — Hamleys is the oldest, largest toy retailer established in 1760 in High Holborn, London. It is named after its founder William Hamley who envisioned opening the best toy shop in the world. In 1760, he filled his Noah's Ark toy shop with different kinds of dolls and toy soldiers. — The shop was moved to its current iconic flagship store on Regent Street in 1881. This store is a major tourist attraction. It covers seven floors and has over 50,000 lines of toys. — Hamleys did see tough times in the early 1900s and bounced back. In fact, it faced liquidation in 1931 and was rescued by Walter Lines, the chief of Tri-Ang toy company which bought the toy maker. — Lines turned around Hamleys and the retailer was given a Royal Warrant by Queen Mary in 1938. When Queen Elizabeth II ascended to the throne in 1955, she accorded Lines with another Royal Warrant as Toy and Sports Merchant. — During World War II, Hamleys was bombed five times. — Icelandic investment company Baugur Group bought Hamleys in 2003 for about £47.4 million, but when it collapsed the now-defunct Landsbanki saved the day by taking over. — Nine years later when Landsbanki failed, French toy retailer Group Ludendo acquired Hamleys for about £60 million in September 2012. — Chinese fashion conglomerate C. Banner International had acquired Hamleys for £100 million in cash in 2015. — Hamleys got its first south Asia store in Mumbai in April 2010. The toy maker has 50 stores across India now. — Hamleys has around 129 stores globally, a large majority of which are under the franchise model and outside the United Kingdom, the company is present in China, Germany, Russia, India, South Africa, the Middle East and other regions.